Proceeds from “Deck the Stalls” will benefit the Funny Farm Animal Sanctuary in Mays Landing. Washington Township High School students, from left, Demi DeMuro, P.A.W.S. president Christina Fath, Emily Karapcik and P.A.W. S. public relations director Erica Sultan collaborated on a successful “Deck the Stalls” fundraiser. Hoping to help animals in this season of giving, members of the Washington Township High School Promoting Animal Welfare Society Club, under the guidance of advisor Karen LaRosa, sold handmade paw print scarves to raise funds during their annual “Deck the Stalls” winter fundraiser. 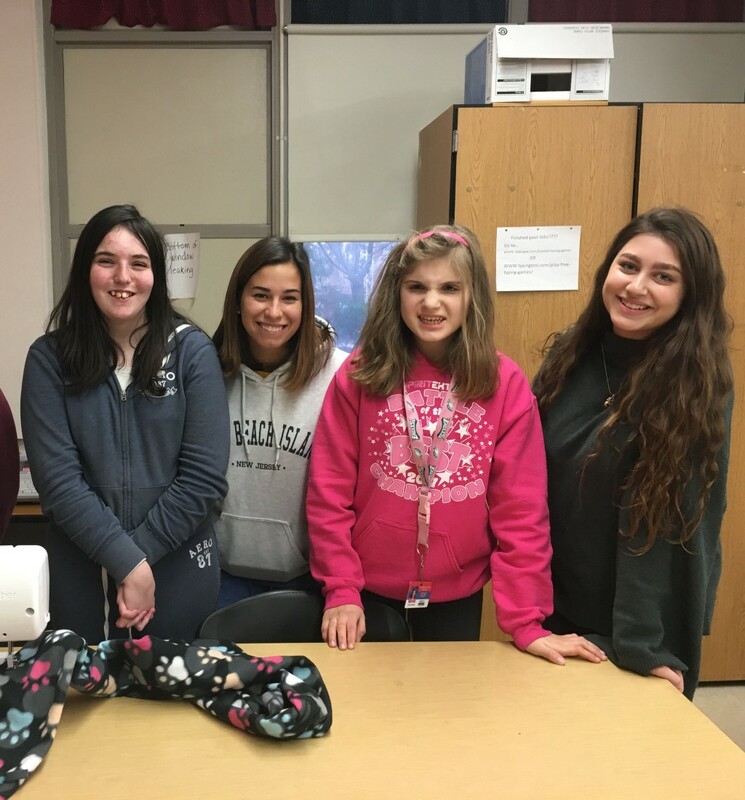 Club members enlisted the assistance of Donna Savill’s lab students to craft the scarves that were sold to generate funds. The proceeds from “Deck the Stalls” will benefit the Funny Farm Animal Sanctuary in Mays Landing. Pictured are Washington Township High School students, from left, Demi DeMuro, P.A.W.S. president Christina Fath, Emily Karapcik and P.A.W. S. public relations director Erica Sultan, who collaborated on a successful “Deck the Stalls” fundraiser.